This digital scrap kit will help you record the moments in your life that you wish to hang onto forever. It has 67 wonderful elements and 16 coordinating papers to help you do just that. All saved at 300 dpi, not all is shown. I'd like to thank you all so much for being a part of my PSP world. It wouldn't be the same without each and every one of you. I appreciate all the emails and tags that you sent, all the kind comments, and for all your support over this past year. I hope in the next year you all will continue to return often and keep sending me those wonderful tags! 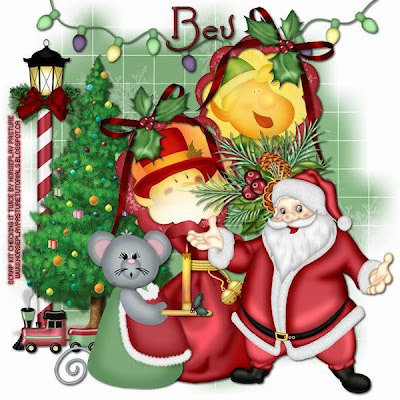 I wish you and yours a very Merry Christmas and will see you again before we all ring in the new year! 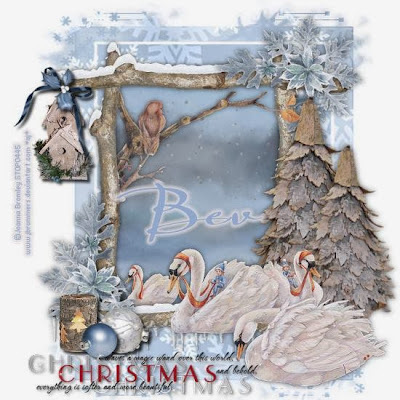 "Making Memories" is a tagger size scrap kit filled with 72 beautiful elements and 18 coordinating papers to help you with your winter projects. Your completed projects will be stunning! Not all elements and papers are shown. All is saved at 300 dpi. "Making Memories" was created by Annie of Dolphin's Den. 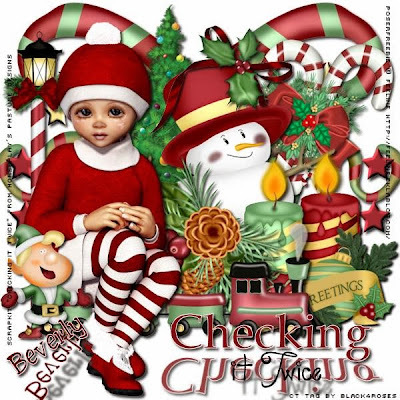 This adorable tag "Making Memories" was created by Amy of Amy & Leah's Gimptastic Tuts. 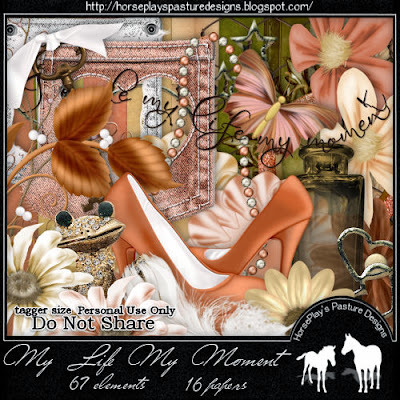 This fantastic tag "Making Memories" was created by Lise of Lise's PSP Stuff. This absolutely gorgeous tag was created by Laura of Lee's Creations. 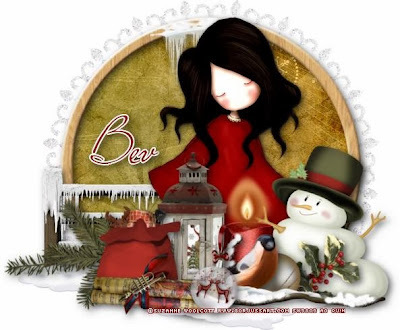 This totally fun tutorial, "Merry & Bright" was created by Raps of Easy Peasy Tuts. No doubt this kit will show you just what Christmas cheer really is! With its 77 elements and 21 papers you're going to thoroughly enjoy creating your winter projects. All saved at 300 dpi, not all are shown but does include glass globe, frames, trees, snowmen, gingerbread man, gingerbread house, gingerbread train, wreath, birdhouse, baubles, stockings, ribbons, bows, Santa hats, glass lightbulb ornaments, name tags, gift boxes....so much more! 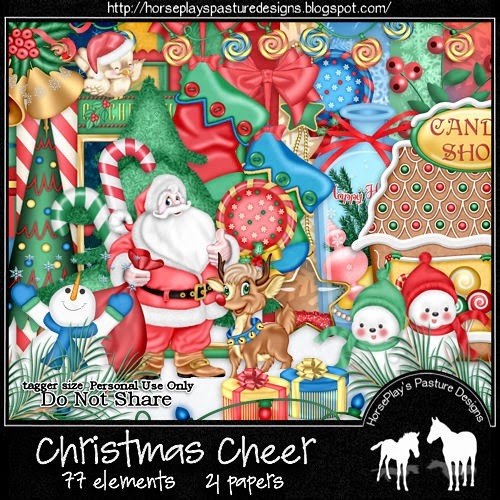 This fantastic tag "Christmas Cheer" was created by Lise of Lise's PSP Stuff. 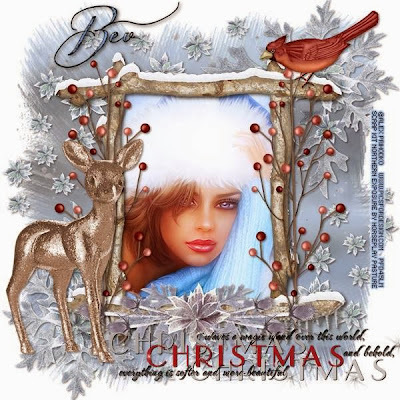 This festive tag "Christmas Cheer" was created by Manuela of Black4Roses. Thanksgiving to Cyber Monday sale!! 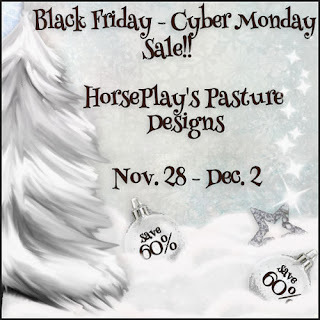 Prices will never be this low again so don't miss out on the savings!! 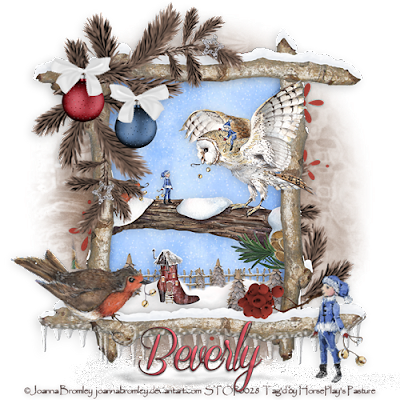 Rita of LadyArie's Creations created this awesome tag using my ""On a Winter's Day" kit. Clicking on the image will take you to her tutorial. Robyne (Robyne's Elegant Designs) and made this powerful tag using an awesome poser created just for my kit "Bruised" by Ella of Designs by Norella. Combined together you have a strong message. 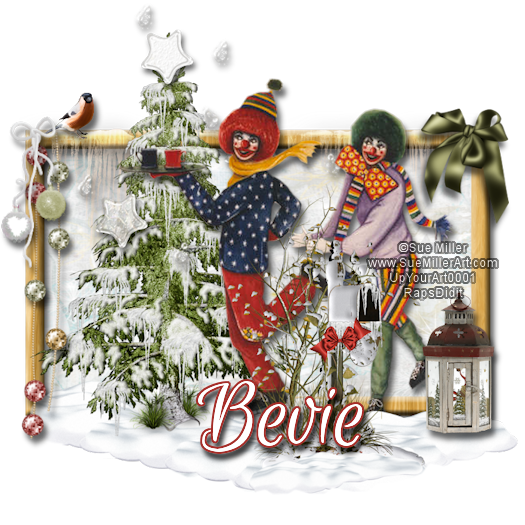 Click on the image to be taken to Robyne's fantastic tutorial. 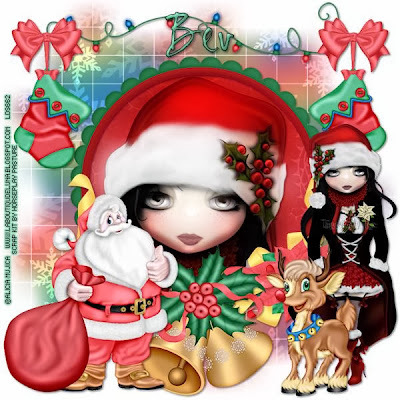 This story-filled tag "Holiday Vixen" was created by Lise of Lise's PSP Stuff. She used my "It's a Wonderland" scrap kit. Clicking on the image will carry you to this fantastic tutorial! 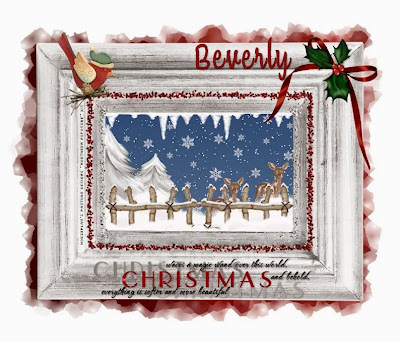 "Northern Exposure" is a tagger size scrap kit that captures those chilly temps and dazzling sparkles of the winter season. There's 77 elements and 18 papers to help with those winter projects. The enjoyment will be endless! All saved at 300 dpi, not all are shown. Images below are linked to the tutorials. This beautiful tutorial is available with or without animation!! This gorgeous beauty, "Northern Exposure" was created by Lise of Lise's PSP Stuff. 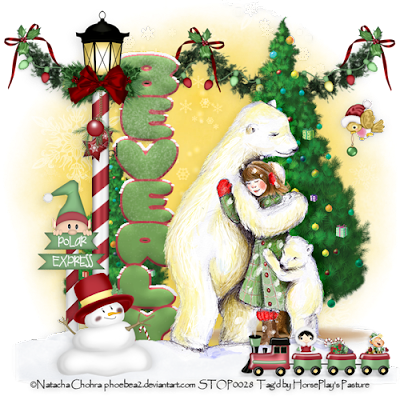 This stunning tag, "Northern Exposure" was created by Sonja of Sonja's Sazzy World. 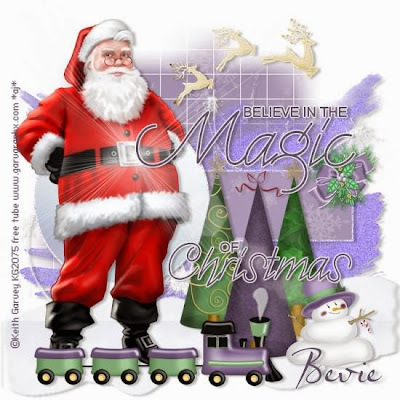 This pretty tag "Christmas is Magic" was created by Sue of Tutorials by Sue. 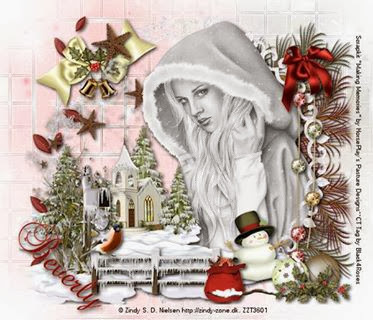 This gorgeous tag "Northern Christmas" was created by Leanne of Icy Blue Mystic Tutorials. It's that time of year when the big red guy is double checking his list. This year he has 81 elements and 13 papers to help him out! 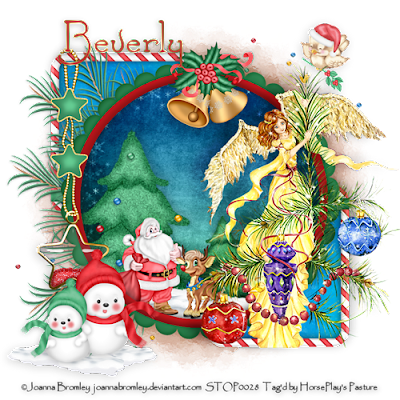 You'll find the elements of assorted bows and ribbons, frames, snowmen, candy canes, gingerbread men and their house, along with candles, choo choo trains, elves and so much more all packed in one file along with Santa himself to help you out with your winter projects. Not all shown, all are saved at 300 dpi. Available in all my stores. "Checking It Twice" kit. The tutorial is by the same name. 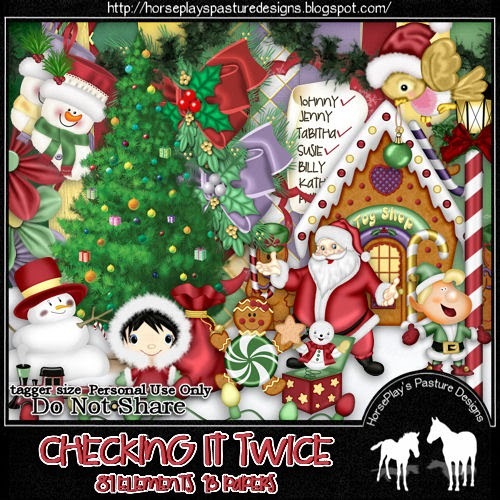 This amazing tag, "Checking It Twice" was created by Annie of Dolphin's Den. 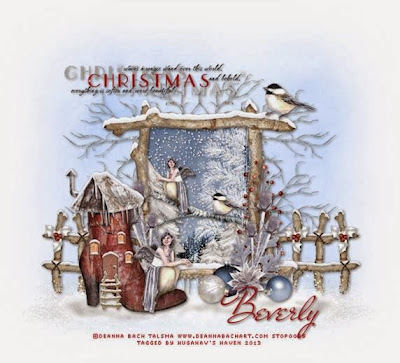 "Season's Greetings" was created by Rita of LadyArie's Creations.